WEST CONSHOHOCKEN, Pa., June 27, 2018 /PRNewswire/ — King Abdullah II of the Hashemite Kingdom of Jordan, who has done more to seek religious harmony within Islam and between Islam and other religions than any other living political leader, was announced today as the 2018 Templeton Prize Laureate. The announcement was made at www.templetonprize.org by the John Templeton Foundation, based in West Conshohocken, Pennsylvania. The King’s quest to promote peace-affirming Islam gained momentum in 2004 in the wake of the Iraq war when he launched the Amman Message that articulated a clear understanding of the central elements of Islam. In 2010, he proposed UN World Interfaith Harmony Week with a General Assembly resolution adding “love of God or love of the good” to “love of one’s neighbour,” thus including all people of goodwill, with or without faith. The resolution, adopted unanimously, established the first week of February as UN World Interfaith Harmony Week. The Templeton Prize, valued at 1.1 million British pounds, is one of the world’s largest annual individual awards and honors a person who has made an exceptional contribution to affirming life’s spiritual dimension, whether through insight, discovery, or practical works. 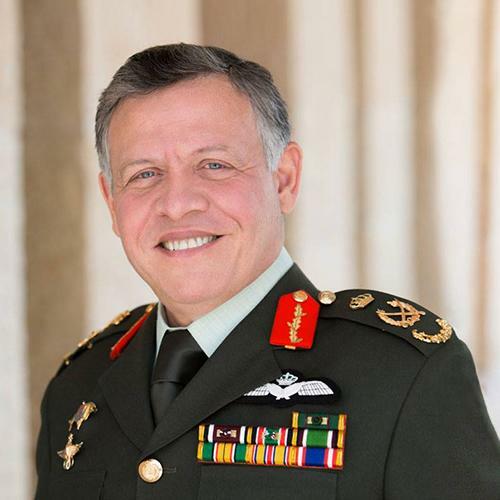 In awarding the Templeton Prize to King Abdullah, the Foundation also emphasized his unwavering commitment to protect Islamic and Christian holy sites in Jerusalem, and his leadership which has guaranteed safe haven for Jordan’sethnic and religious groups. He joins a group of 47 Prize recipients including Mother Teresa, who received the inaugural award in 1973, the Dalai Lama (2012), and Desmond Tutu (2013). The 2017 Laureate was American philosopher Alvin Plantinga. Rabbi Lord Jonathan Sacks won the 2016 Prize. His Majesty King Abdullah II, 56, will be formally awarded the Templeton Prize in a ceremony in Washington, D.C. on November 13.